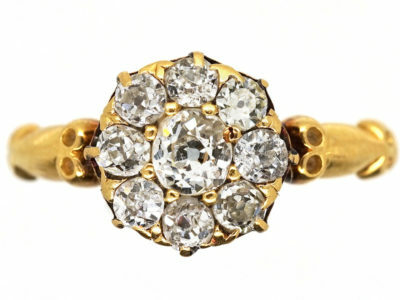 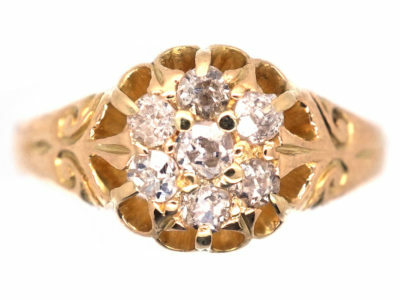 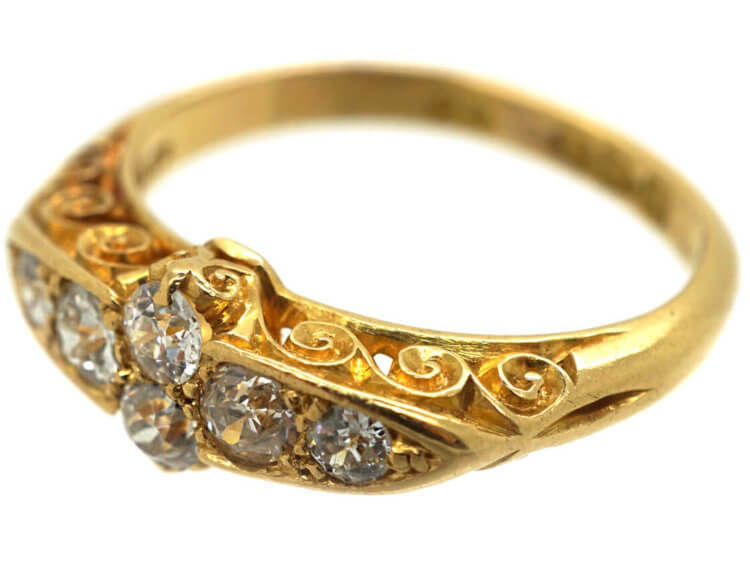 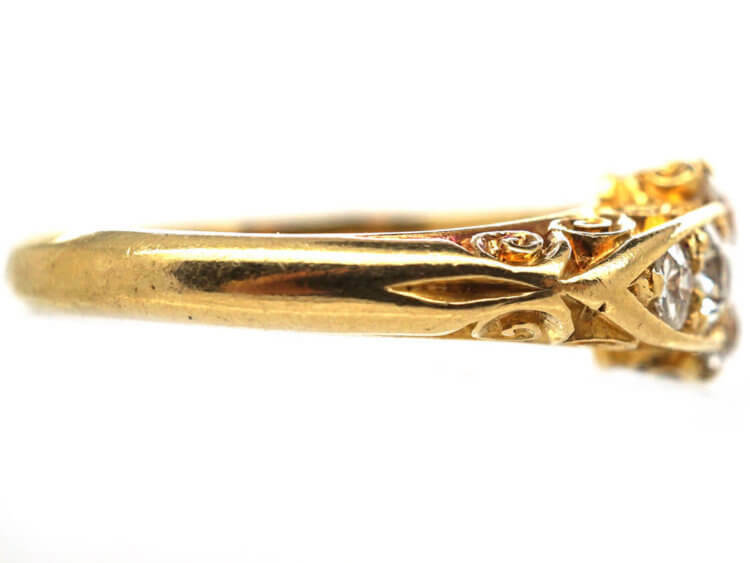 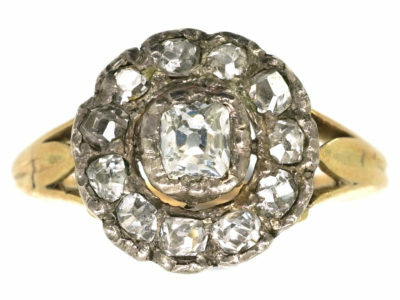 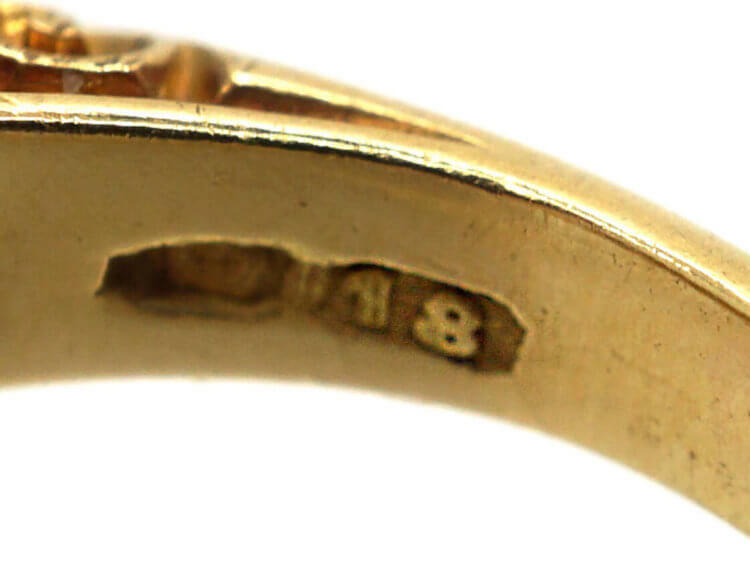 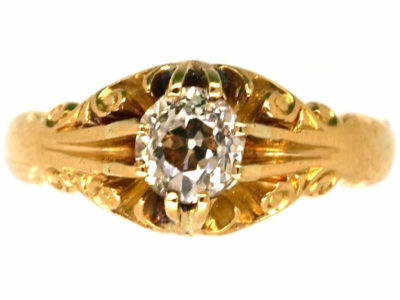 A lovely 18ct gold ring that was assayed in Chester in 1906. 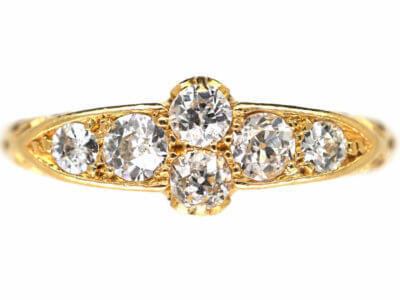 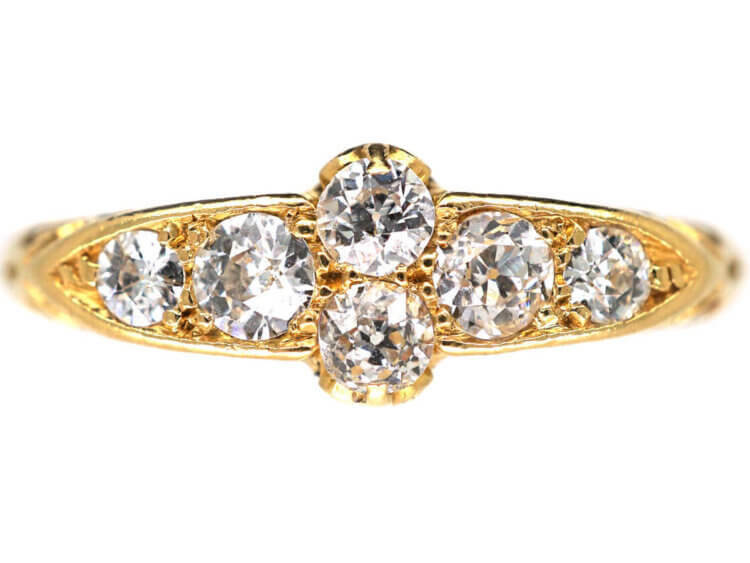 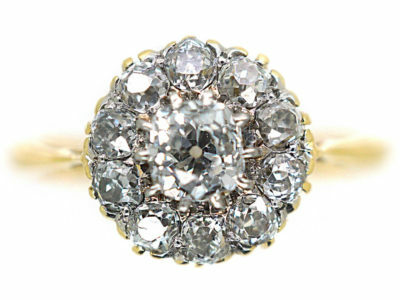 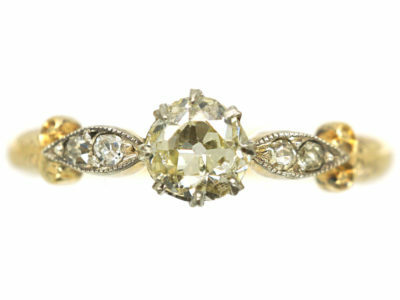 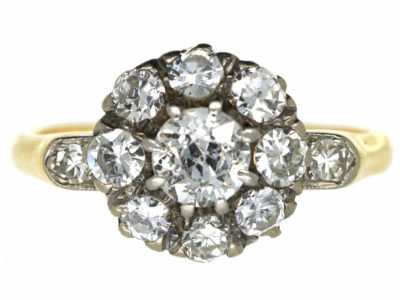 It has been set with six well matched white graduated old mine cut diamonds. 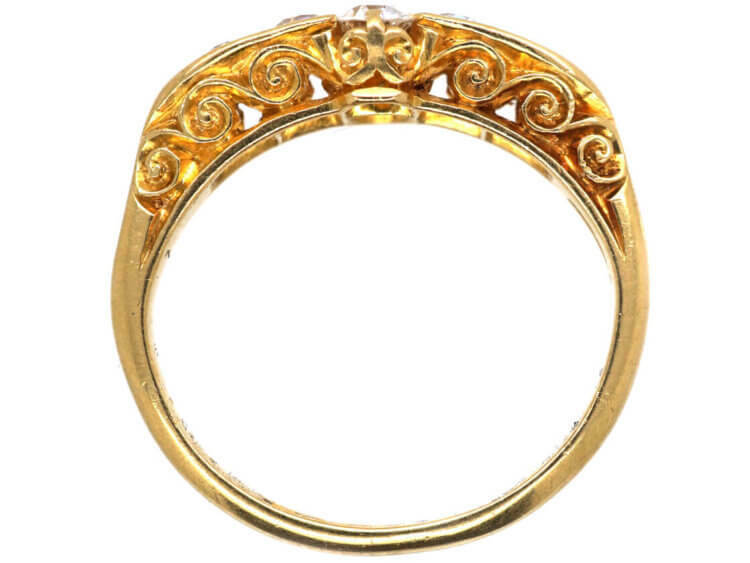 The shank is called a carved half hoop because of the decoration on either side. 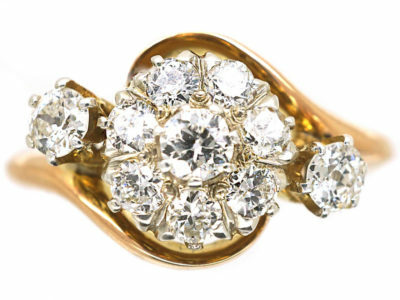 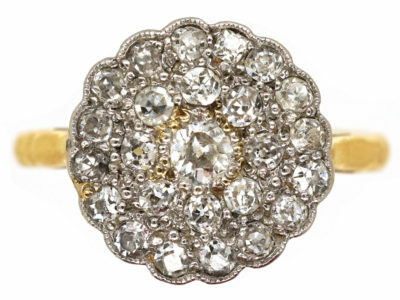 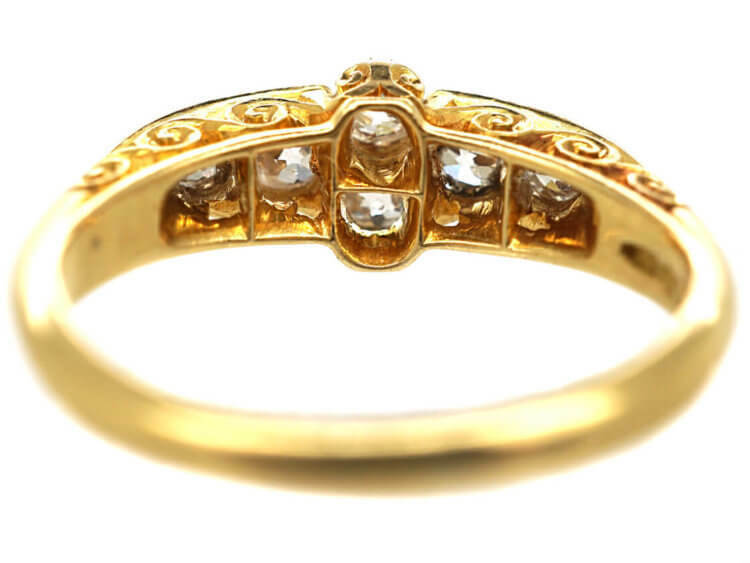 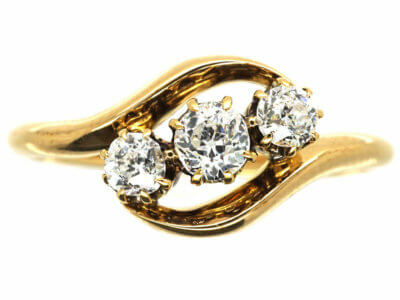 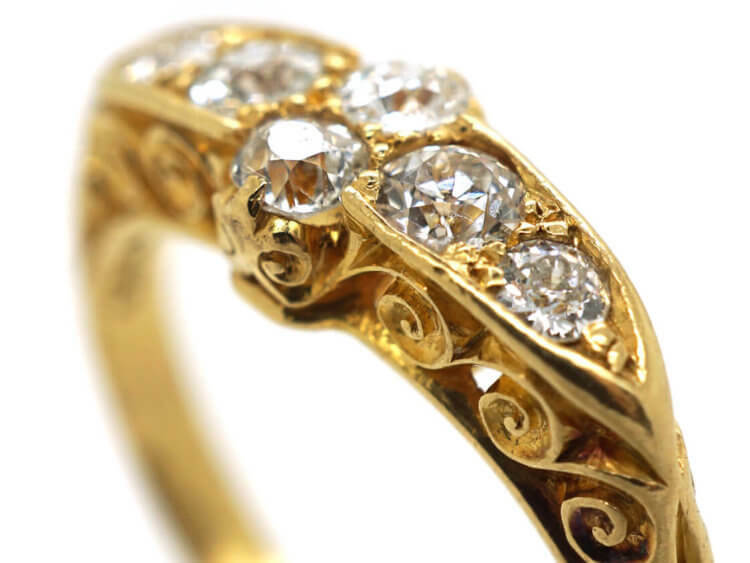 It is unusual design as normally these rings with carved half hoops display three or five diamonds, not six! 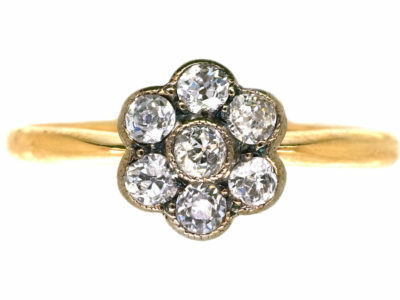 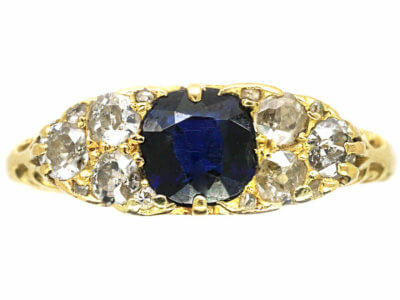 It stacks well with a wedding band and would make a wonderful engagement ring.